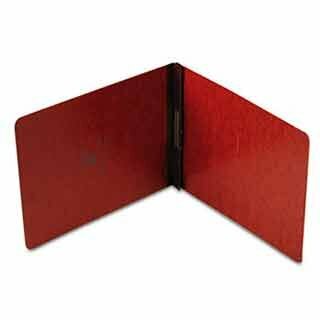 Oxford 71334 Pressboard Report Cover, Prong Clip, Letter, 2'' Capacity, Red by OXF71334 at Old Mill Middle North. MPN: OXF71334. Hurry! Limited time offer. Offer valid only while supplies last. Heavyweight, rigid stock with a distinctive finish for a professional look. Embossed title panel allows precise placement of label. Durable 20 pt. Heavyweight, rigid stock with a distinctive finish for a professional look. Embossed title panel allows precise placement of label. Durable 20 pt. pressboard. If you have any questions about this product by OXF71334, contact us by completing and submitting the form below. If you are looking for a specif part number, please include it with your message.